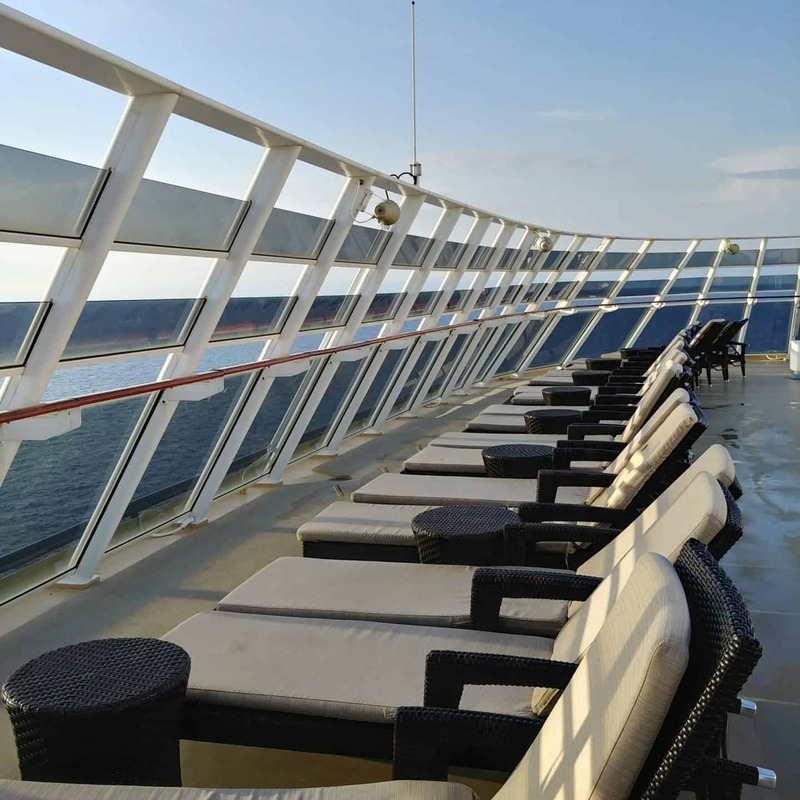 Are you a first-time cruiser? It took a long time to convince my husband to try a new way of traveling but I think he is finally hooked. 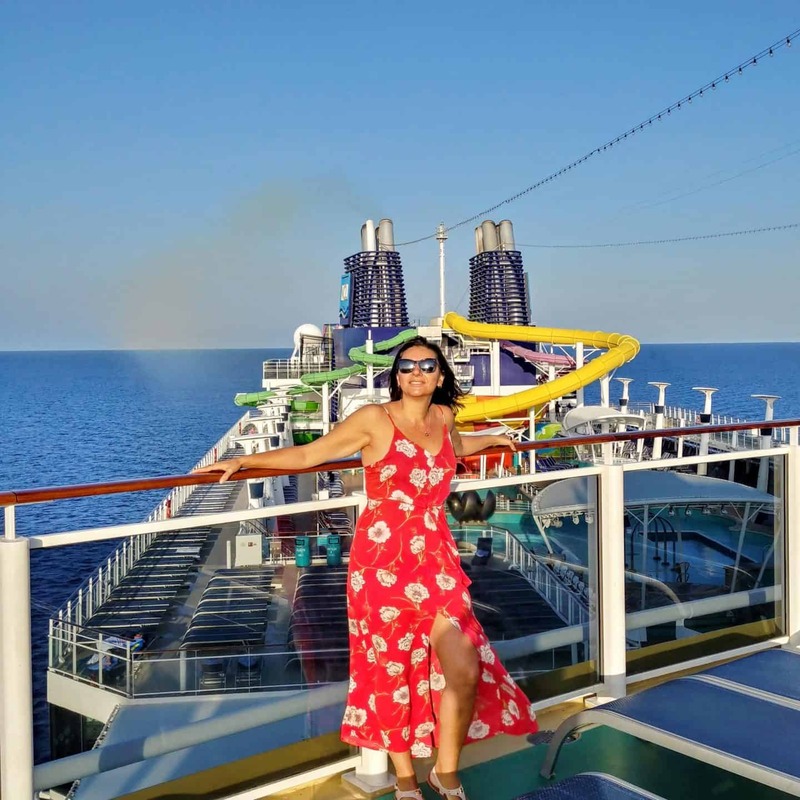 We have done our research, read blogs, reviews and got some advice from expert cruisers and finally decided that the Norwegian Epic cruise was the best cruise for us. When choosing a cruise we first looked at where we wanted to go. 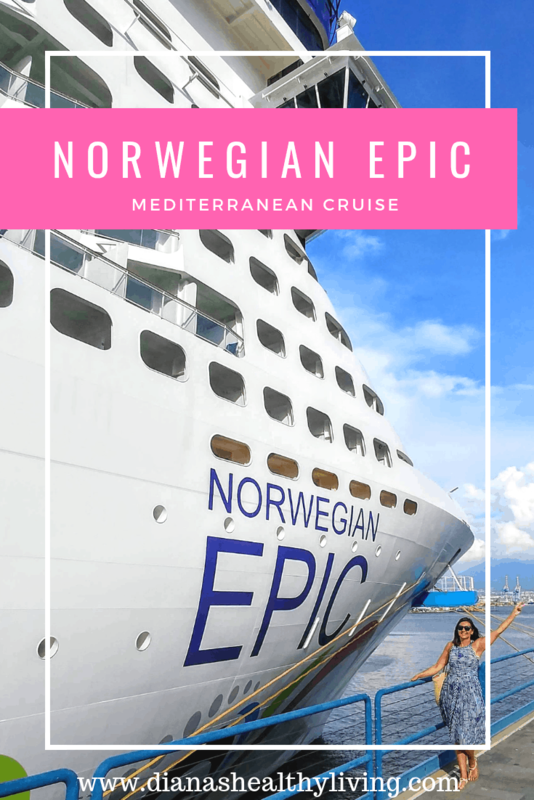 A Mediterranean cruise was always on my bucket list and with some amazing ports of call we knew we had to book the Norwegian Epic Mediterranean Cruise. 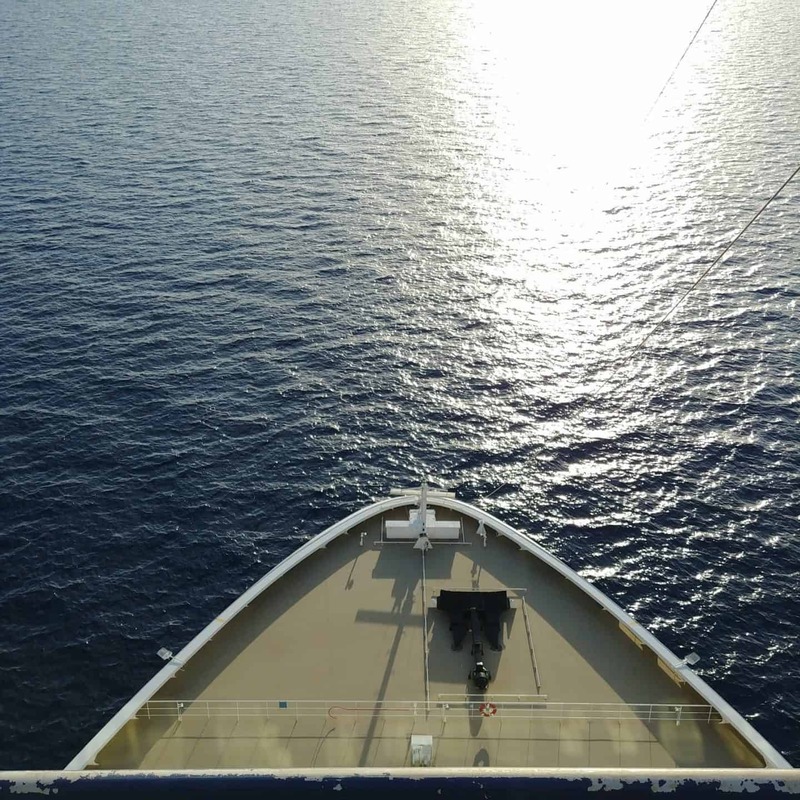 We had many misconceptions about cruising and we were completely surprised. Check out my Instagram story highlights from my trip. We booked our Norwegian Cruise with Air Canada Vacations as they offer so many advantages. Air Canada Vacations guarantees the lowest airfare, reliable travel, flexible payment options, and other great features. You can also book hotel nights before or after your cruise with Air Canada Vacations and tailor your vacation with hundreds of worldwide cruise itineraries. We arrived in Barcelona a day before our cruise and stayed at the Hotel HCC Regente. Lowest Airfare or you fly free – If you find a flight with Air Canada or Air Canada Rouge at a lower price, we’ll pay for your flight! Guaranteed return flight – If the ship is late, we’ll book you on the next available flight home. Never miss your cruise – In the event that a delayed flight causes you to miss your cruise, you will be rebooked on the next available flight to catch up with it. 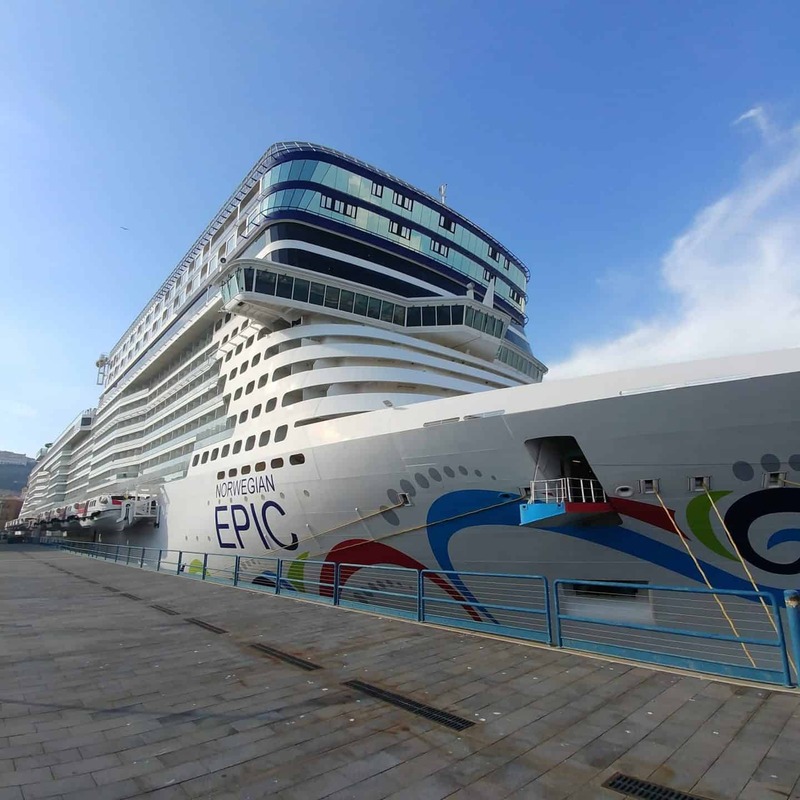 The Norwegian Epic was built in 2010 and it was the 3rd largest cruise ship in the world when it was built! 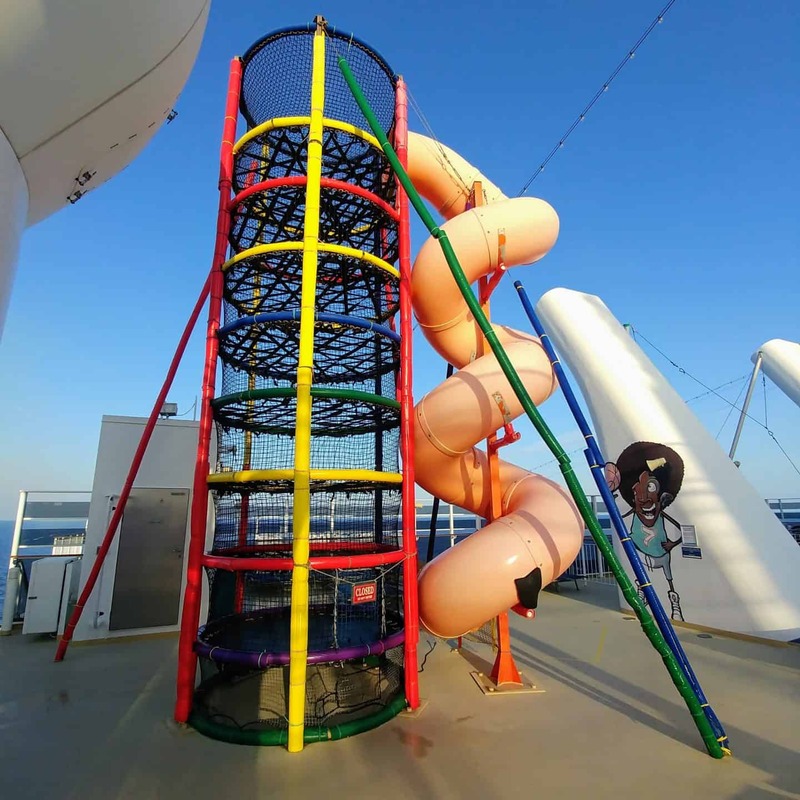 With 4200 passengers and 1750 crew, it is also the equivalent of a 16 story high building and has its own towering water slides on the top deck! The ship was refurbished in 2015. We thought a cruise ship would be claustrophobic with nowhere to go. This could not be further from the truth. There is so much to see and do on the ship that you may not even get a chance to see everything. We arrived at the Barcelona cruise port to check in for our cruise. Check-in is similar to an airline check-in apart from getting your photo taken. We were issued a room key card which was also used for all purchases onboard the cruise ship and was our ID card. We had a misconception that it would take hours to check-in on a cruise ship. There were lineups but they moved quickly. When booking a room on your Norwegian Epic cruise of course you have many choices. I always pictured cruise staterooms to be extremely small. We were lucky to stay in a mid-ship balcony stateroom that features floor-to-ceiling glass doors that open to a private balcony. This room can accommodate up to three people with two lower beds that convert into a queen-sized bed, a sitting area that converts to additional bedding to accommodate one more passenger. We were so surprised how spacious our room was. It has a closet and several compartments for storage. Our room had a unique bathroom layout where every area is separate, including the shower and vanity sink. It is a great layout as my husband and I didn’t have to battle it out in the bathroom for space. Our room was also equipped with a small coffee maker, great for that quick cup of java when you first wake up and a mini-bar fridge. (Careful, the items in the mini-bar fridge are usually not included in your cruise rate and are usually an additional charge). No need to pack the basics as the shower is equipped with a wall dispenser with body wash and moisturizing shampoo as well as a hairdryer, leaving more space in your luggage for souvenirs. We were located on deck 14 mid-ship, the perfect location as we were one floor below the Garden Cafe. 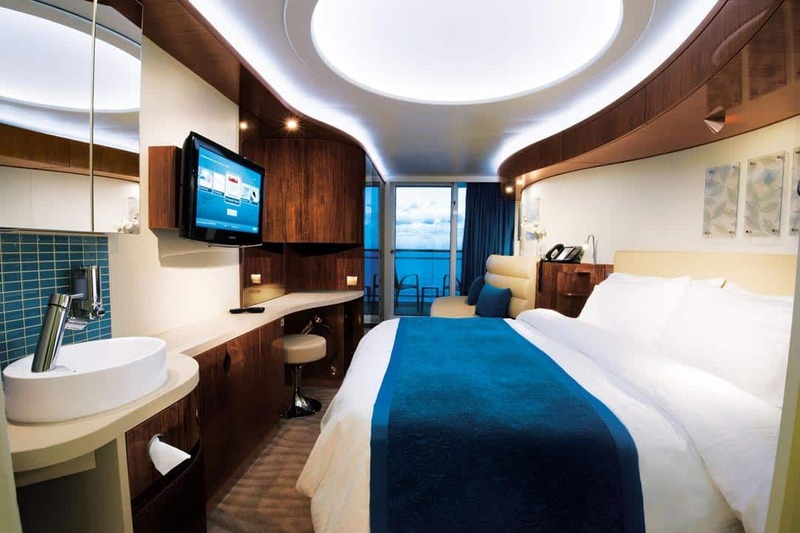 If you are looking to add a bit of luxury on your cruise you can always opt for the luxurious Haven Suites. They have penthouse suites with balconies, the deluxe owner’s Haven Suite with a separate bedroom, living room and dining room or the two bedroom family villa with balcony. If you book a Haven Suite you get to use the Concierge Lounge and private restaurant and bar as well as butler and concierge services……sweet!! We were really surprised to hear that they offer studios for solo travelers as well as their own lounge. This is great for solo travelers, no more single supplementary charges. 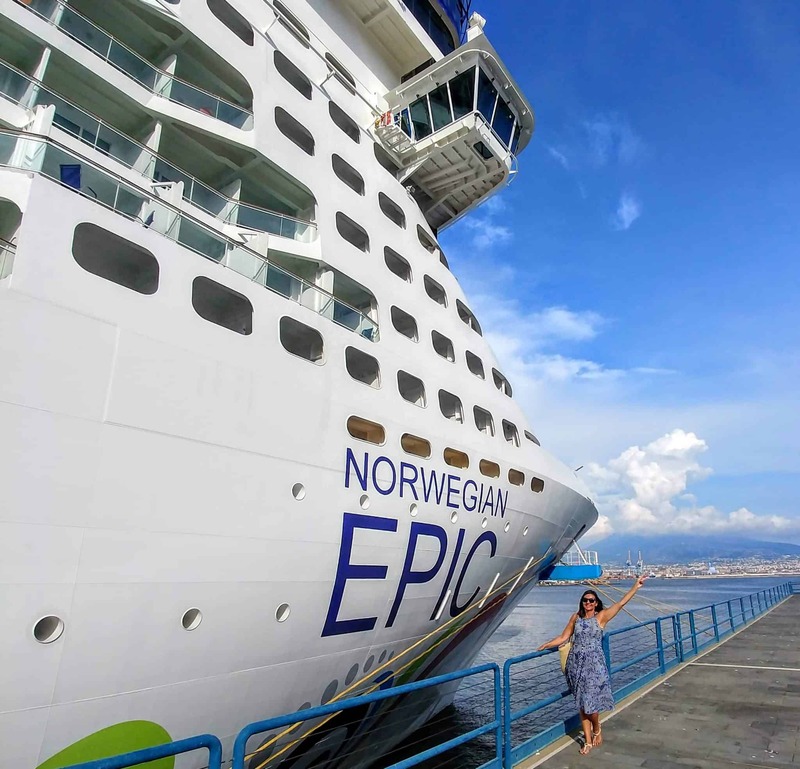 The Norwegian Epic has 19 decks…….pretty much the size of a building! The rooms are located on decks 8 – 17. There was so much to explore on this ship and we definitely got our workout in everyday exploring. 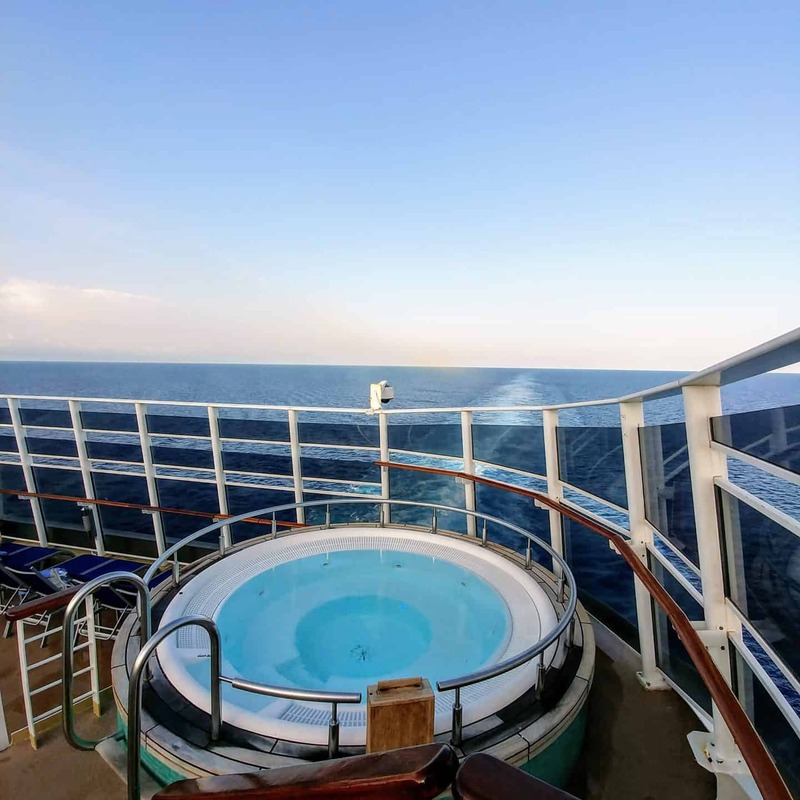 It’s important knowing what is located on each deck as you can decide how close you want your stateroom to be to all the action or how far away. Also, because there is so much to explore you don’t want to miss anything…….trust me, if you don’t know about it you probably won’t find it. My husband and I always heard stories of friends who have been on other cruises and they had set times for dinner every night in the same restaurant. We did not like the idea of a set time to eat dinner. We wanted to have the option to eat when and where we wanted. 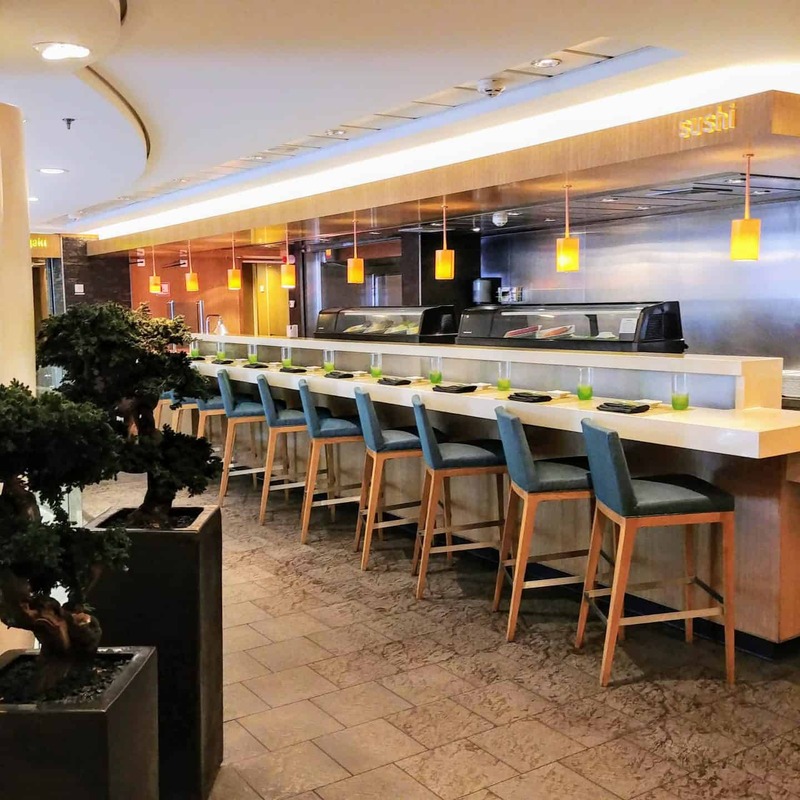 Norwegian Cruise lines offer freestyle dining. 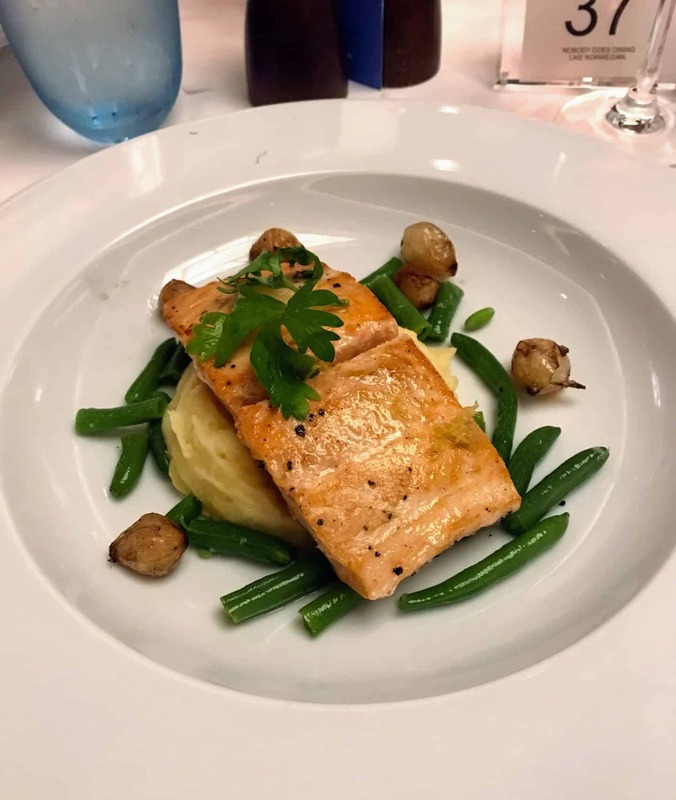 There are no fixed dining times or pre-assigned seating giving us the freedom on our vacation to try different places to eat on board and experience all of the dining options. The food! We really had no idea what we were missing. We always thought that cruise ship dining was all about the long lineups and mediocre food. 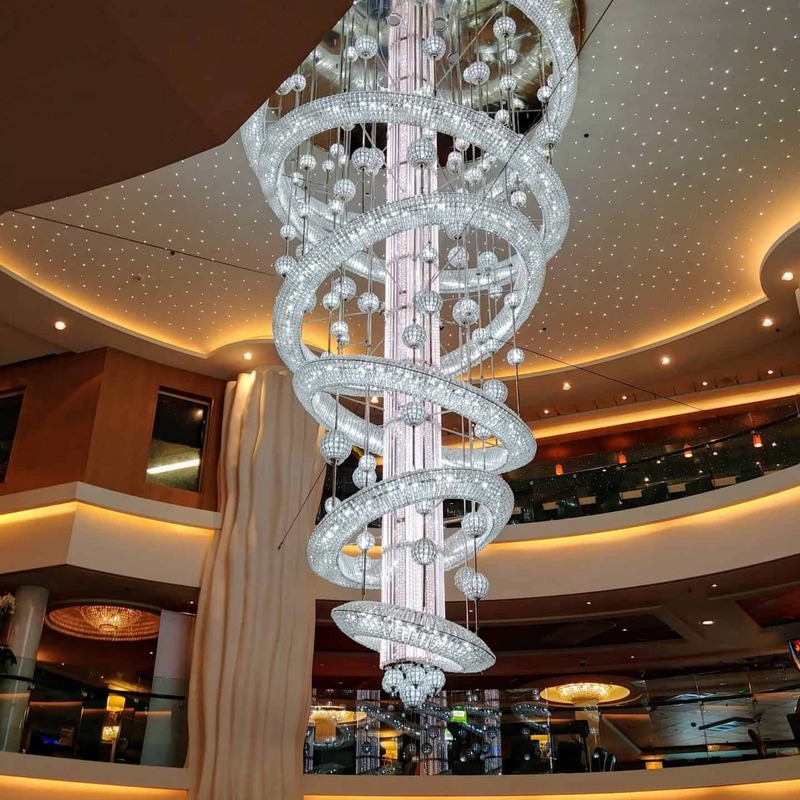 NCL is known for amazing dining and has over 20 different dining options on board. 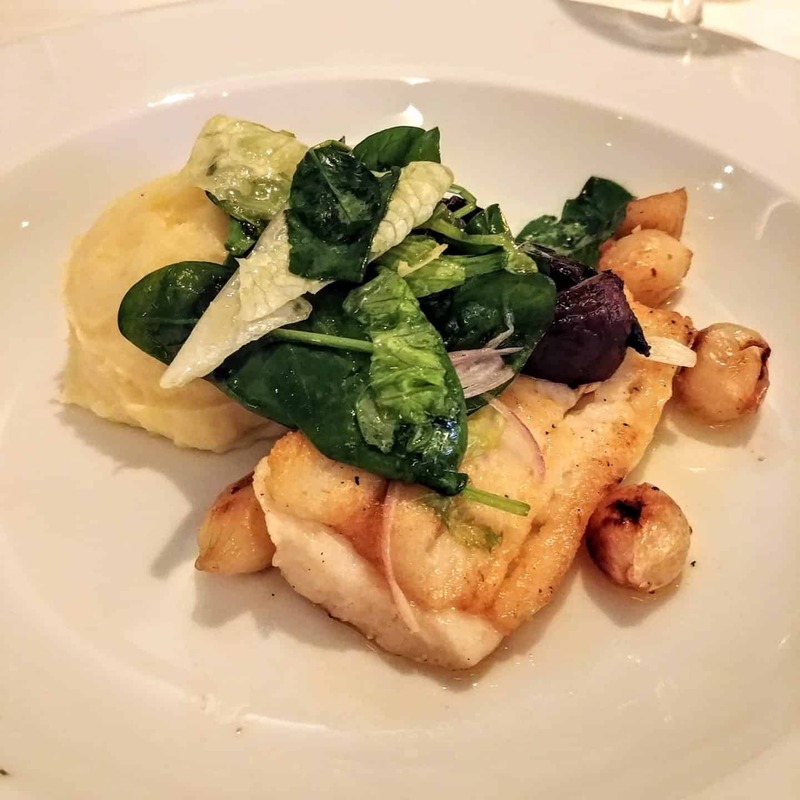 We had no idea that NCL Epic would be a foodie heaven. All the restaurants were amazing, yes even the buffet! 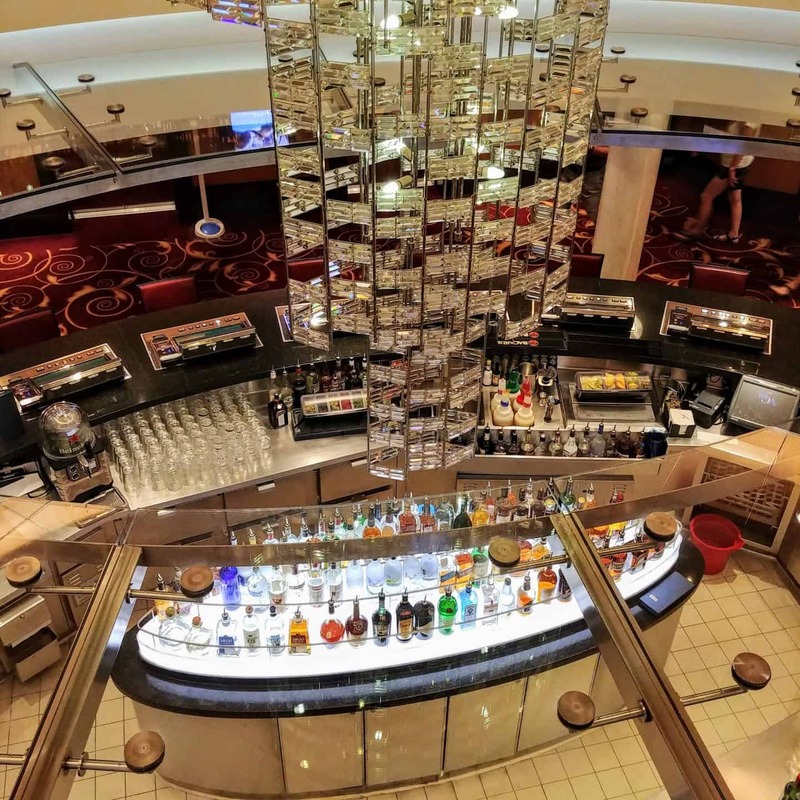 The cruise fare includes two main dining rooms where you can order from a menu (they change nightly), a self-serve buffet that is open for breakfast, lunch and dinner, a variety of casual cafes, grills and on-the-go choices. 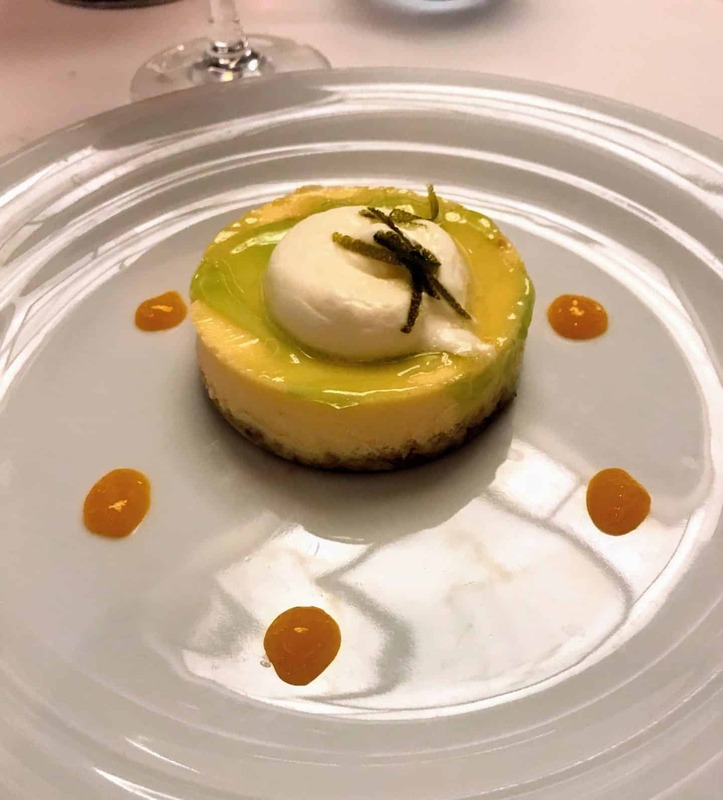 In addition to all of the complimentary dining options available, Norwegian Epic also offers dining at specialty restaurants. For a cover charge, you can experience a world of different cuisines and atmosphere – from the finest French Bistro at sea to casual authentic Italian dishes served in a Trattoria-style setting to the first at sea Brazilian Churrasqueira. We tried to enjoy as many of the restaurants as possible. The Garden Cafe is the buffet restaurant where you can enjoy breakfast, lunch or dinner with wonderful views. They have different themes every night so you are never eating the same meal again unless you want to. We loved the freshly prepared made-to-order omelets in the morning. The Great Outdoors is located just outside of the Garden Cafe but located outdoors to enjoy the fresh ocean air and a view of the Aqua Park This is a buffet that is open during breakfast, lunch or dinner. One of the twin inclusive al-a-carte restaurants we dined at was Taste restaurant that serves contemporary cuisine, with menus changing daily. This was a great restaurant for breakfast, lunch, and dinner. We enjoyed dinner at another inclusive restaurant, the Manhattan Room. The ambiance is like we were in a private New York City supper club with panoramic ocean views from the two-story, floor-to-ceiling windows. There was also nightly entertainment. O’Sheehans is open 24 hours a day! They have some great Irish pub classics as well as popular draft beers. We enjoyed some of the popular comfort food menu items such as Prime Rib and All-You-Can-Eat Ribs. 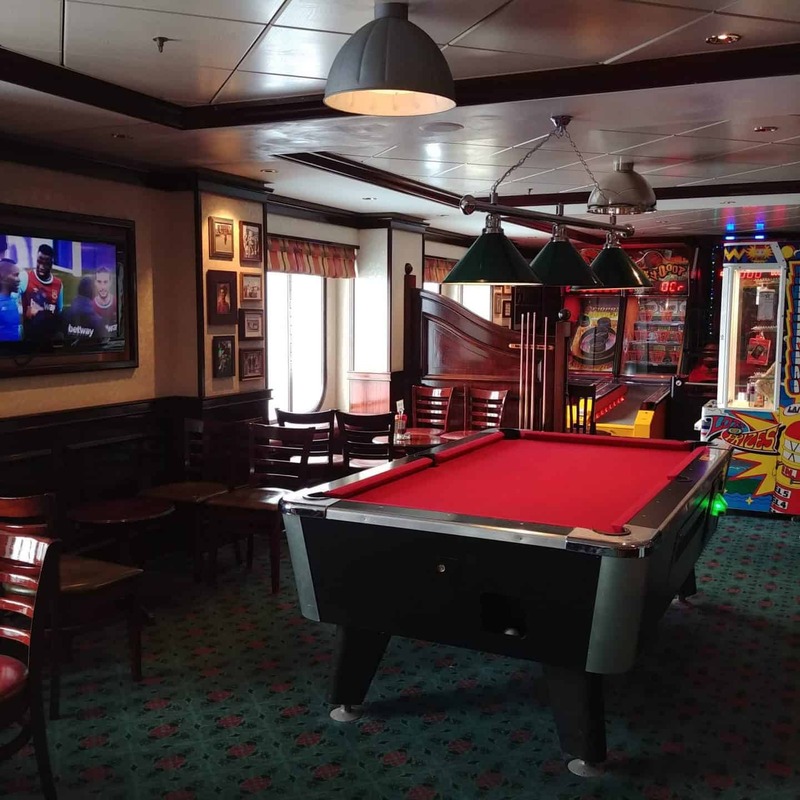 You can also enjoy a game of pool or relax while taking in a sports game. 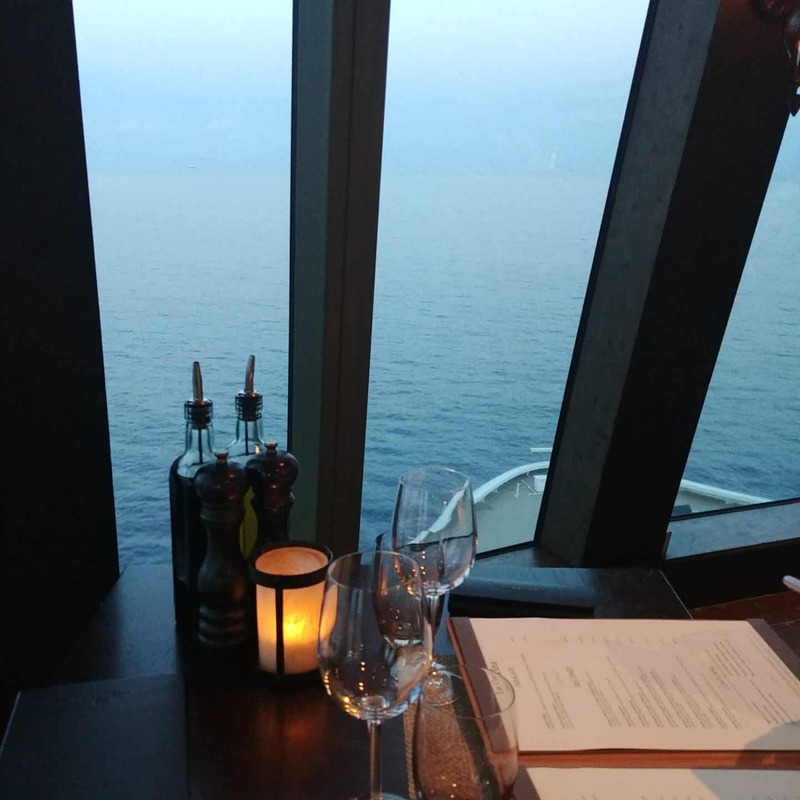 At La Cucina, we enjoyed fine Italian dining with spectacular ocean views. They offered some great Italian classics such as pasta carbonara and lobster fettucini. This was one of the specialty dining à la carte restaurants with a cover charge. We were looking forward to a steak dinner at the popular Cagney’s Steak House. This restaurant has a selection of premium choice cuts of Angus beef perfectly prepared and we also wanted to try their famous Parmesan truffle fries. This was definitely one of our favorite restaurants on the ship. We loved the unique experience at the authentic Brazilian steakhouse. We started with the large impressive salad bar. Honestly, I was pretty full after the salad bar so I would highly recommend pacing yourself as you need to save room for the skewers of slow-roasted meats carved tableside by the Pasadores and of course the side dishes. The Atrium was our go-to for pre-dinner cocktails and people watching. It is a grand space that offers three-deck vertical views and a two-story tv screen. 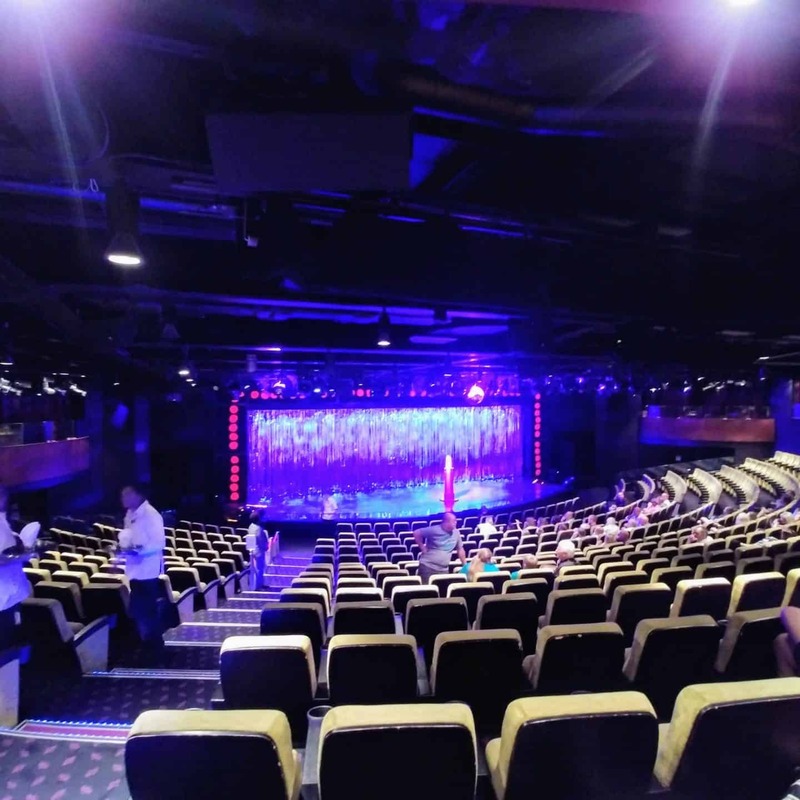 Norwegian Cruise lines are known for their award-winning entertainment. We were expecting the usual cheesy entertainment you would get while staying at an all-inclusive resort but boy, were we wrong! You can’t miss the entertainment, it will blow you away. This international hit sensation is based on the smash-hit movie. PRISCILLA is the heart-warming, uplifting adventure of three friends who hop aboard a battered old bus searching for love and friendship and end up finding more than they could have ever dreamed of. With a dazzling array of outrageous Tony and Oscar Award-winning costumes and a hit parade of dance-floor favorites. Burn the Floor sizzles on board Norwegian Epic! An international championship cast shows off their best ballroom dance moves with plenty of European flair. From Grand Viennese waltzes to the sensual Tango and provocative Rumba, experience all their passion as they heat up the stage. The dancers were so amazing. We thought a day at sea meant we were going to be so bored…….what can we possibly do? Boy, was I wrong. 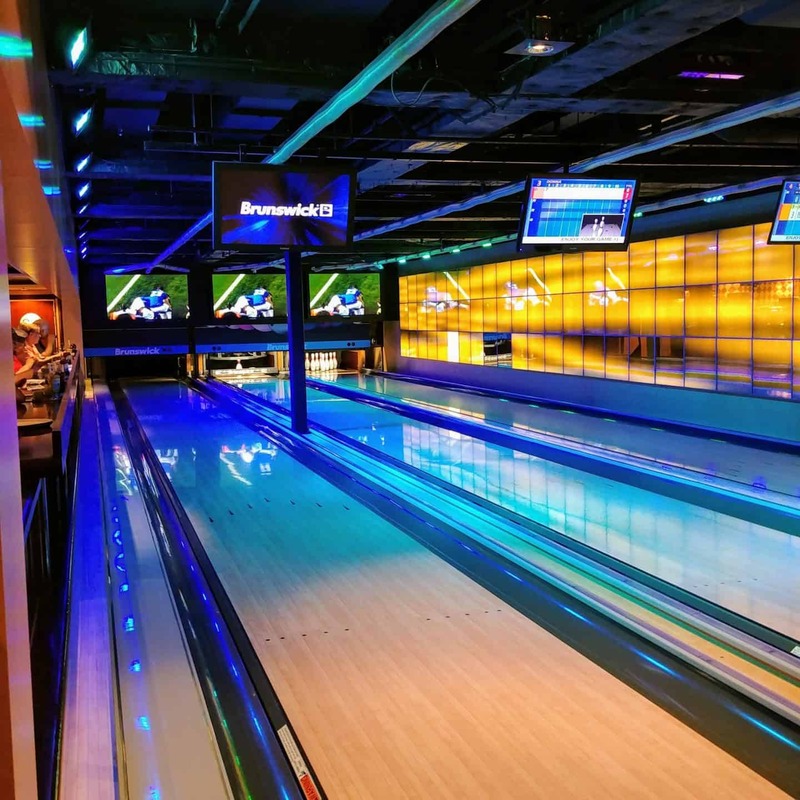 Norwegian Epic has enough onboard activities to fill every minute of your cruise. The best thing is that you can do as little or as much as you want. Every night at turndown service a newsletter is delivered to the room with a timetable of activities for the next day……for every hour of the day!! 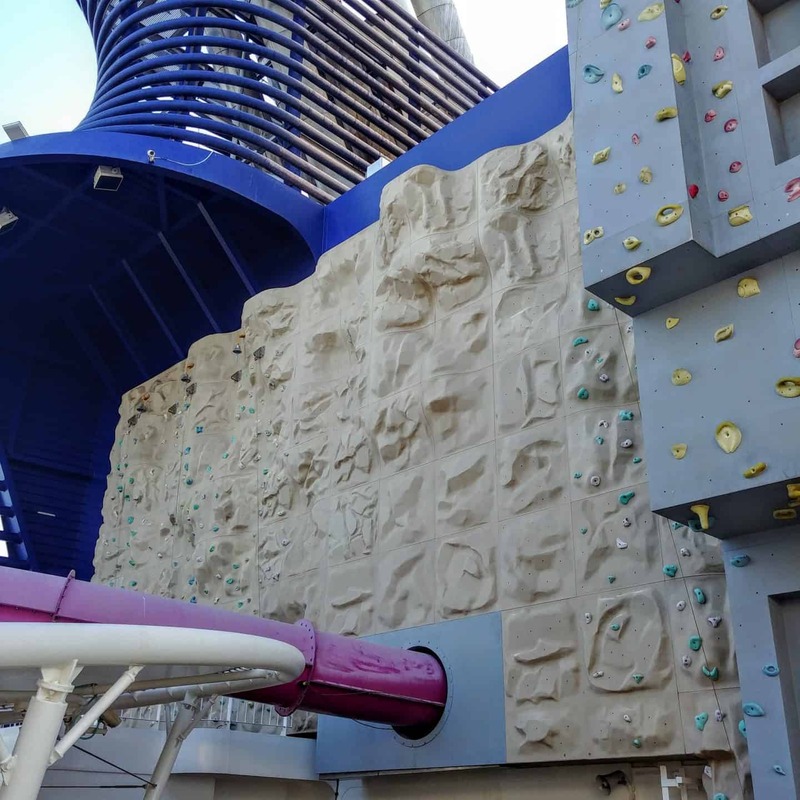 There is an Aqua Park with a 200-foot slide, the only bowl slide at sea. There is also Spice H20, an adults-only beach club at the back of the ship. If you are really looking for some pampering then you can even book a session at the Mandara Spa. There really is something for everyone. Suit up and splash down at the first ever Aqua Park. There are two pools, five hot tubs, a kid’s pool, three multi-story water slides including the 200-foot Epic Plunge. Enjoy working out on vacation? Visit the Pulse fitness center with great workout equipment including treadmills, ellipticals, and free weights or even yoga, pilates and spinning. We walked through and couldn’t believe how many people were in the fitness center…….love the dedication. Try your luck at the largest, elegant full-action casino that offers high-roller ambiance. 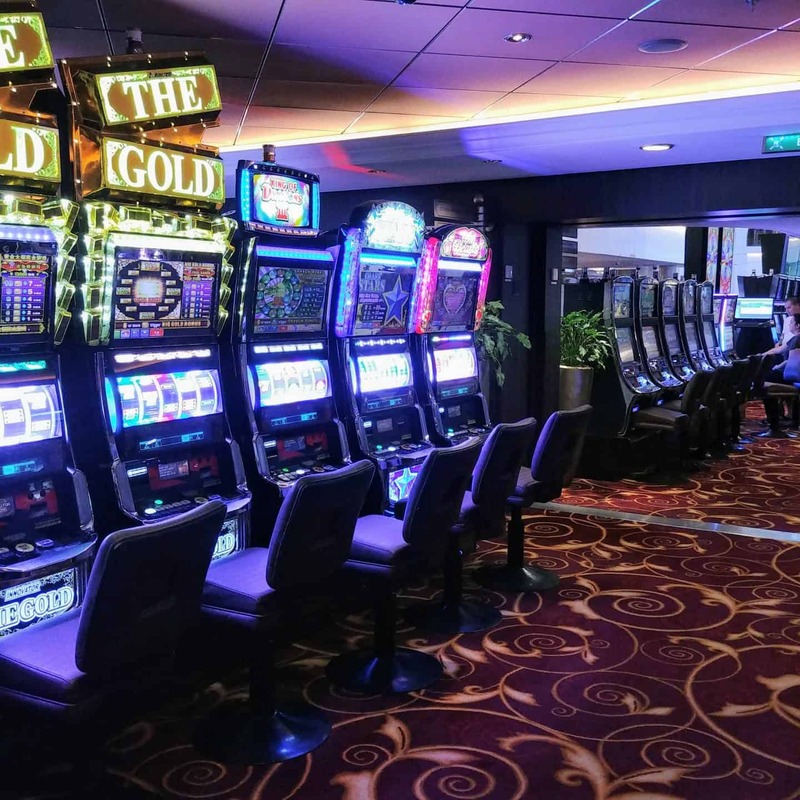 They offer poker, blackjack, roulette, craps and hundreds of slot machines. 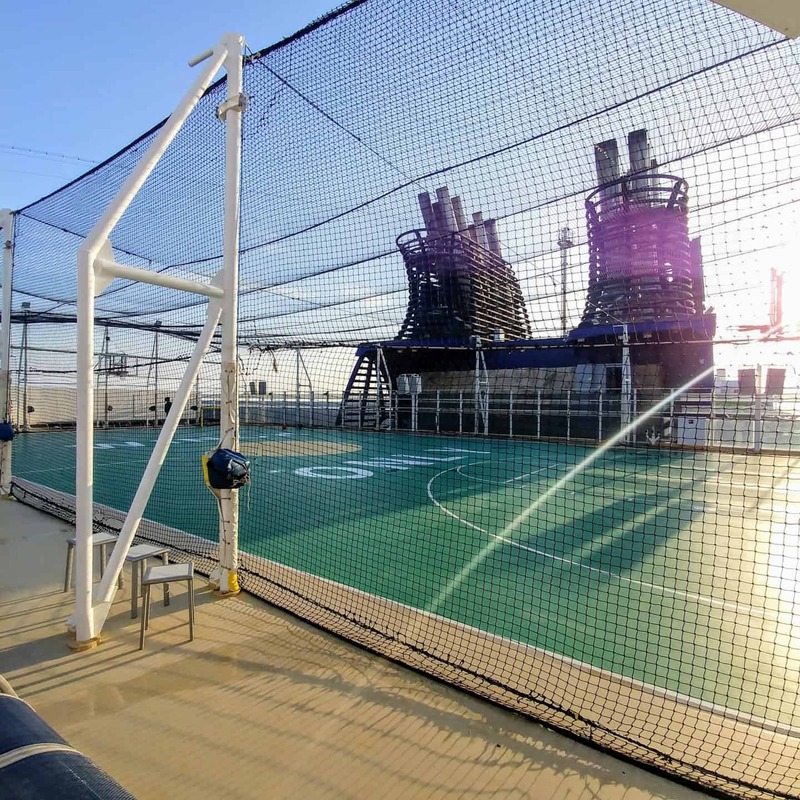 The Sports Complex has two decks to play on with a full-sized basketball court, rock climbing wall, the first-ever rappelling wall at sea and a 24-foot enclosed climbing cage. Soak up the sun by day around the pool and enjoy the outdoor buffet at the adults-only Ibiza-inspired beach club at the back of the ship. The entertainment is non-stop as the pool floor rises to become a dance floor. Let’s not forget about the itinerary! Where else can you enjoy 6 fabulous dream destinations in one week without having to pack and unpack? It was wonderful to visit a new destination every morning without having to pack up all of our belongings. It was wonderful to leave and explore for the day and be able to return to the ship and relax in our state-room. We had a fabulous itinerary that included some dream destinations. We embarked the cruise in Barcelona. As soon as we got on board we set off exploring the cruise ship. 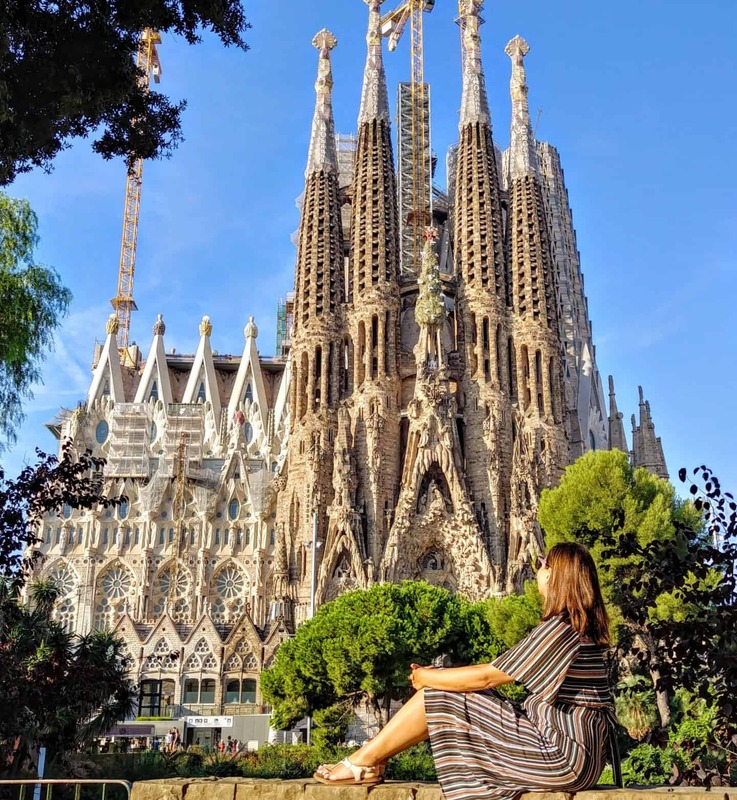 If you are starting or ending your cruise in Barcelona make sure to check out the top sightseeing tours in Barcelona. 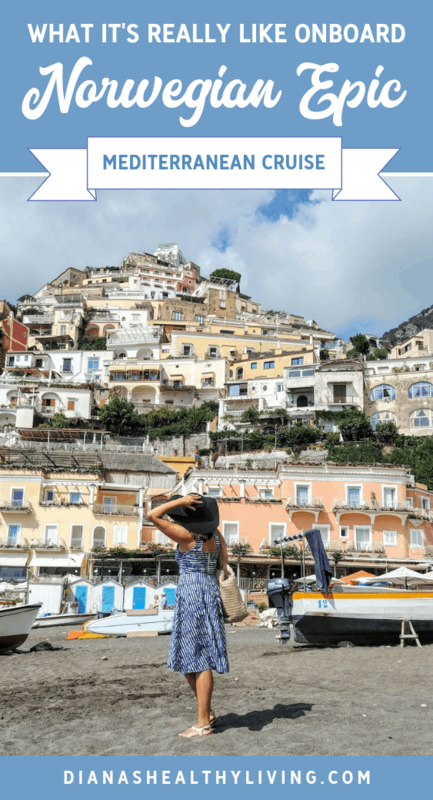 On day three we docked in Naples and took a shore excursion out to Sorrento and Positano. It has always been a dream to visit this beautiful coast and it was beautiful. From Livorno we traveled through the very scenic Tuscany region for our tour to our dream destination Cinque Terre (five villages). 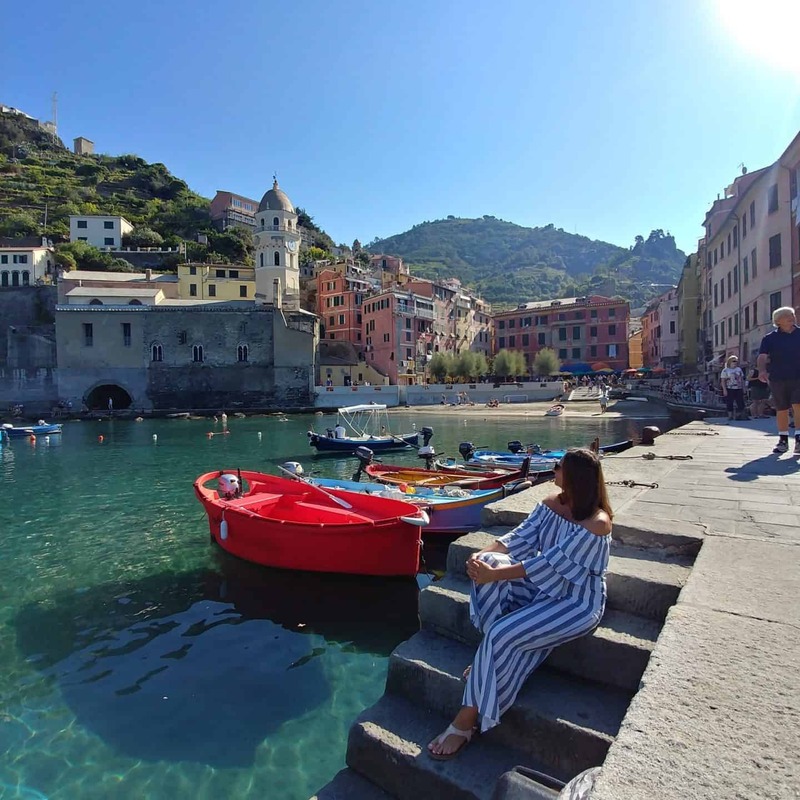 Our first stop to Vernazza was so colorful and cozy then to Riomaggiore which was so spectacular and so memorable. 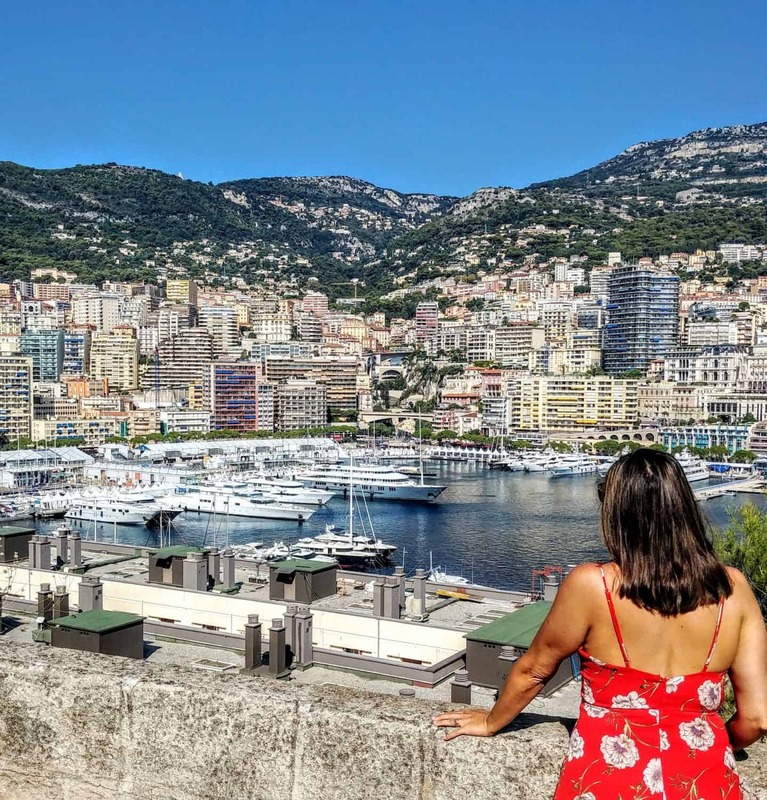 We strolled through the playground of the rich and famous, Cannes then onto a short train ride to visit one of our favorite cities in Europe, Monte Carlo. This city is incredibly scenic and easy to get around with one city bus circling the entire center core. One short bus ride from this port and we were walking to the historic old town. 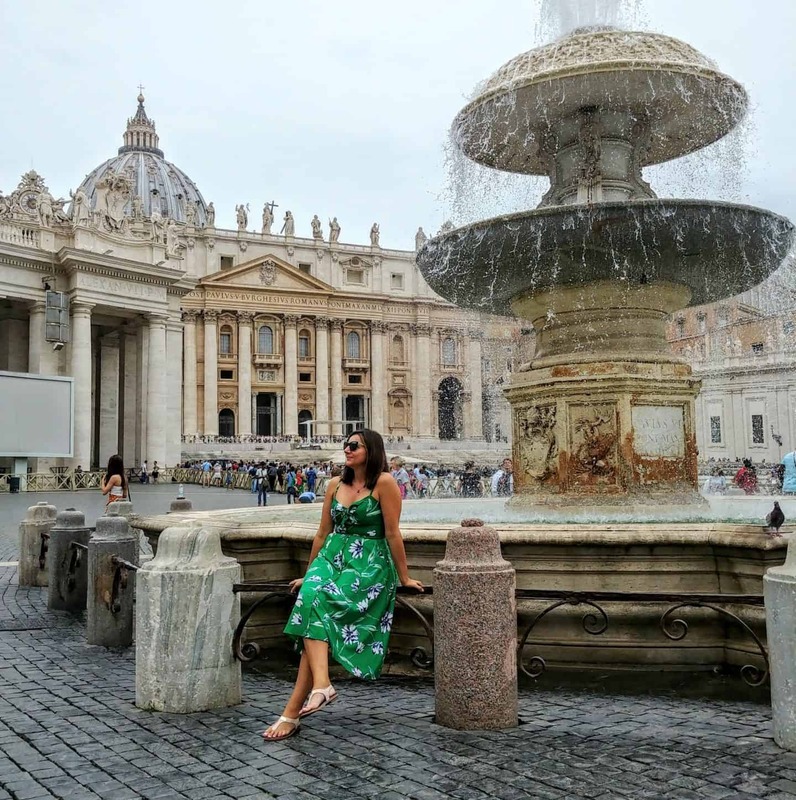 This city more than any other port of call on our cruise was such a pleasant surprise because we didn’t know much about it. As the name implies, the entire area is gifted with majestic palm trees and the most charming narrow streets lined with amazing cafes, restaurants, and shops. I can’t believe we waited this long to experience our first cruise. 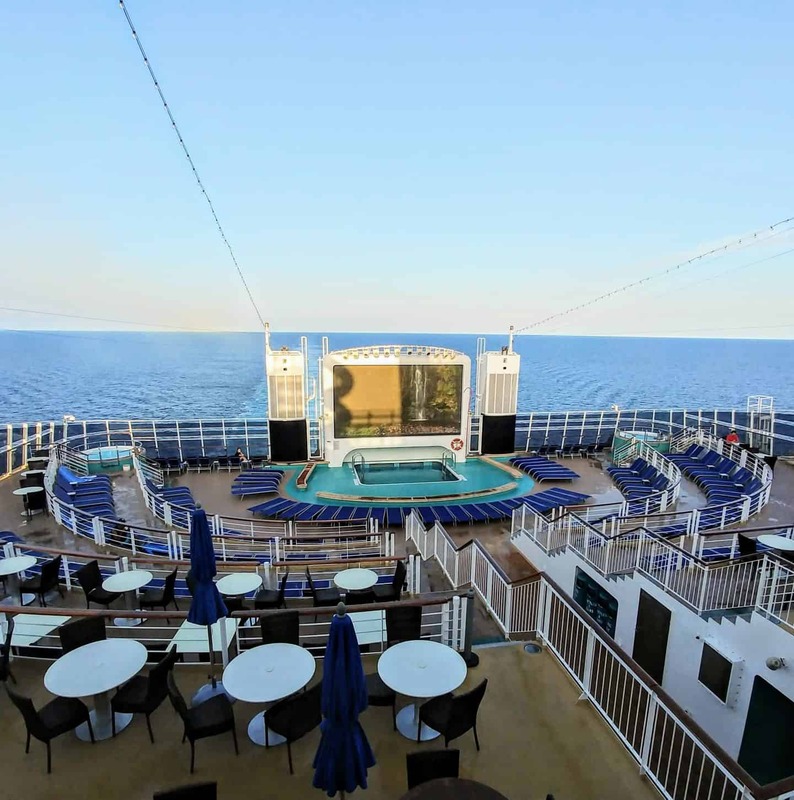 It really is a wonderful way to travel and see so many different destinations as well as enjoying all the wonderful amenities available on the ship. Some of these amenities you won’t even be able to find at a resort. The gourmet dining really was the highlight for us. It didn’t matter where you dined, the food was always amazing and the service outstanding. Throughout our cruise, we were so surprised with the level of service from all the staff. Everyone was so friendly and always smiling. We are most definitely cruising with Norwegian Cruise lines again and can’t wait to bring our daughters with us. 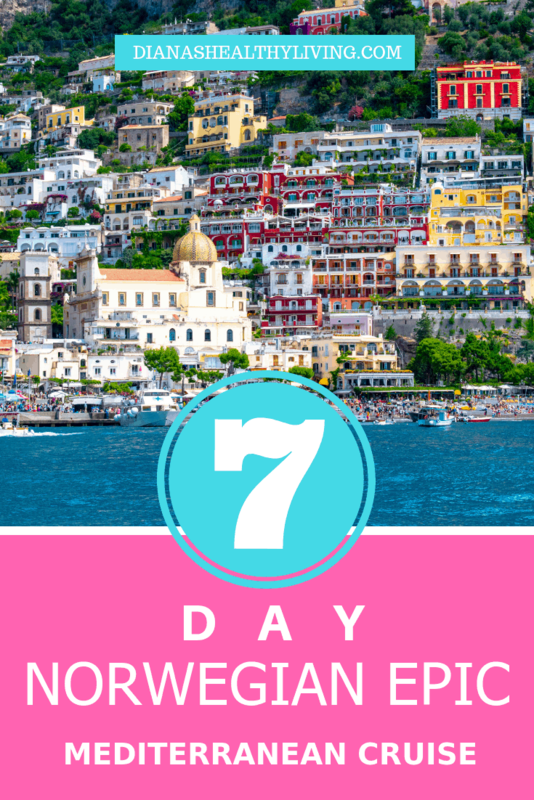 Our experience with Norwegian Cruise Lines left us pleasantly surprised and eager to explore the other Norwegian ships and itineraries. Norwegian Cruise has a great offer until December 31, 2018, applicable to select Norwegian Cruise Line sailings. Booking a studio or inner stateroom? You still get one offer! Call 1 866 529-2079 or your local travel professional and one of Air Canada Vacations specialized cruise agents can help answer all your questions and help choose the right cruise package for you. 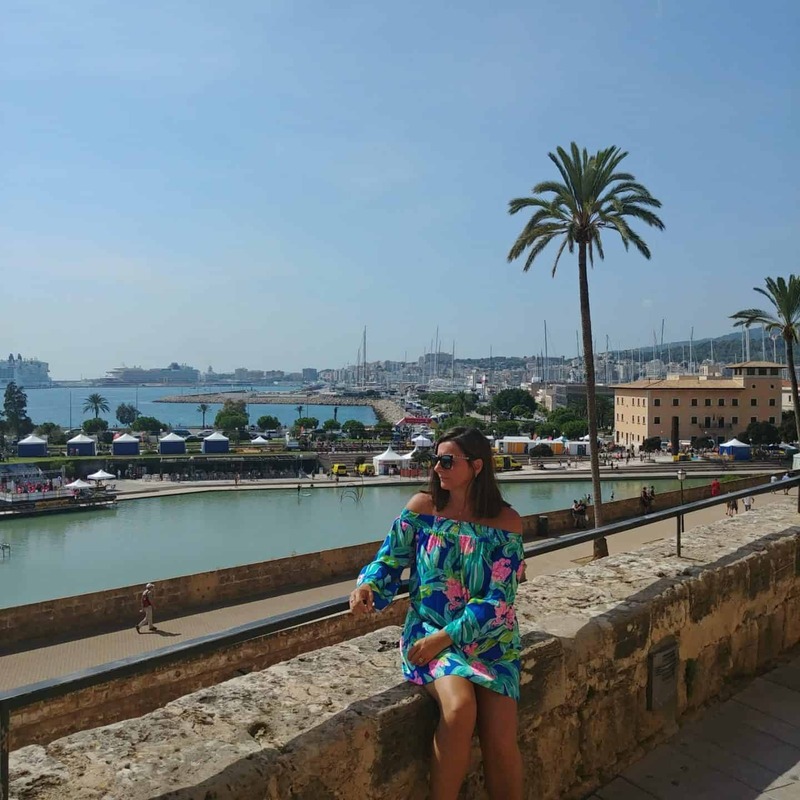 The Norwegian Epic Mediterranean cruise was such a memorable getaway that we will always remember and recommend highly to friends and family. A big thank you to Air Canada Vacations and the Norwegian Cruise Lines for a memorable trip. Looks beautiful! I got sick on my last cruise a few years ago but this one looks so pretty I might be willing to try it again. Those rooms are stunning! Oh no. That is what we were worried about and came prepared. Gorgeous locales, makes me want to book a trip tomorrow. Great post as you have included so many details and photos! 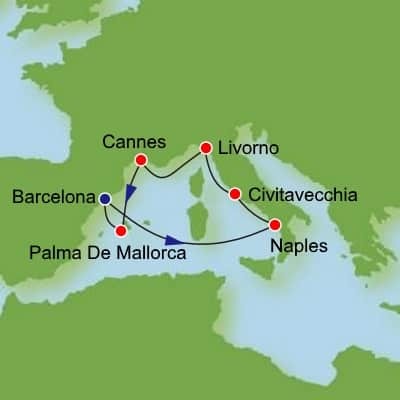 I would die to go in a cruise one day and this one covers a decent part of Mediterranean ! Fantastic ship too, very well taken care of! The cruise was amazing. The cruise ship had every amenity you could think of and of course the stops were incredible. I want to do it again! What an amazing ship and a pretty nice itinerary. Their flight guarantees are pretty nice since it can be an issue to miss the ship because of flight delays. The cruise line I worked for used to advise to book flights the day before to make sure you do not miss your ship. Wonderful article! 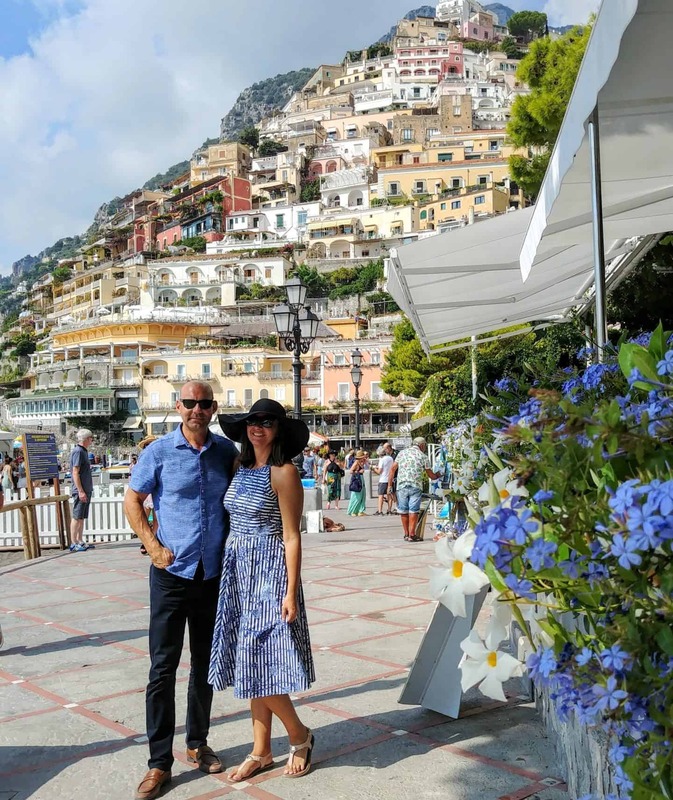 I was wondering though as I have a Mediterranean cruise booked with Norwegian for summer and don’t see any excursions exclusively for positano and Sorrento – do you know the exact name of the excursion you booked? Thanks for sharing!! Looks like an amazing trip! Any chance if you know what time they closed the slides? This is such a busy itinerary….and we have 2 teen boys. Was hoping that the slides would still be open for when we return from ports at 6 and 7. Any idea?? Thanks! Wow how amazing!! 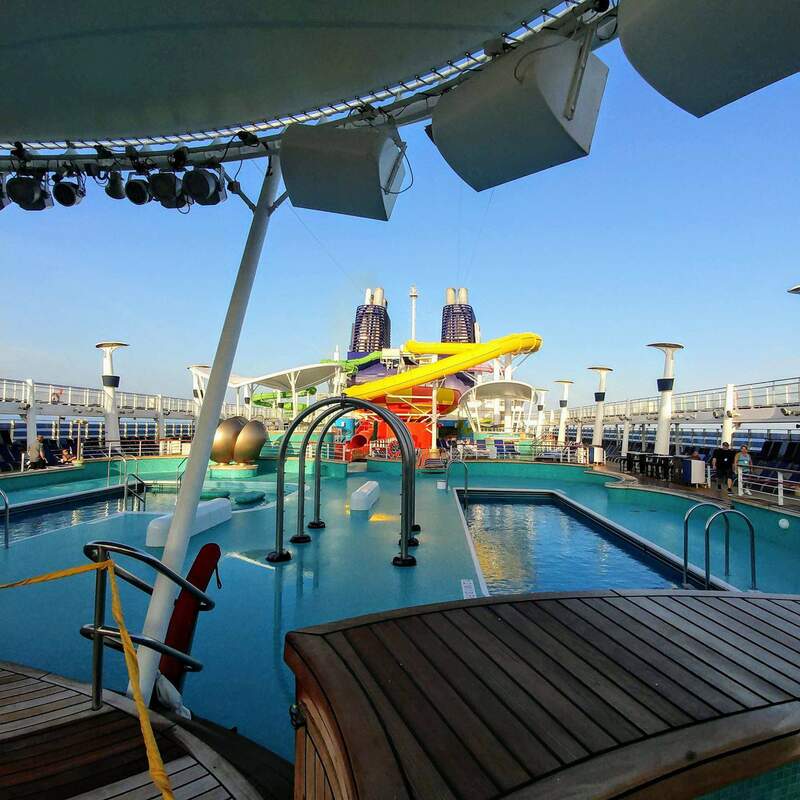 we loved it so much…..we went on another cruise a month later. We are looking to book another cruise with Norwegian. We had such a wonderful experience.